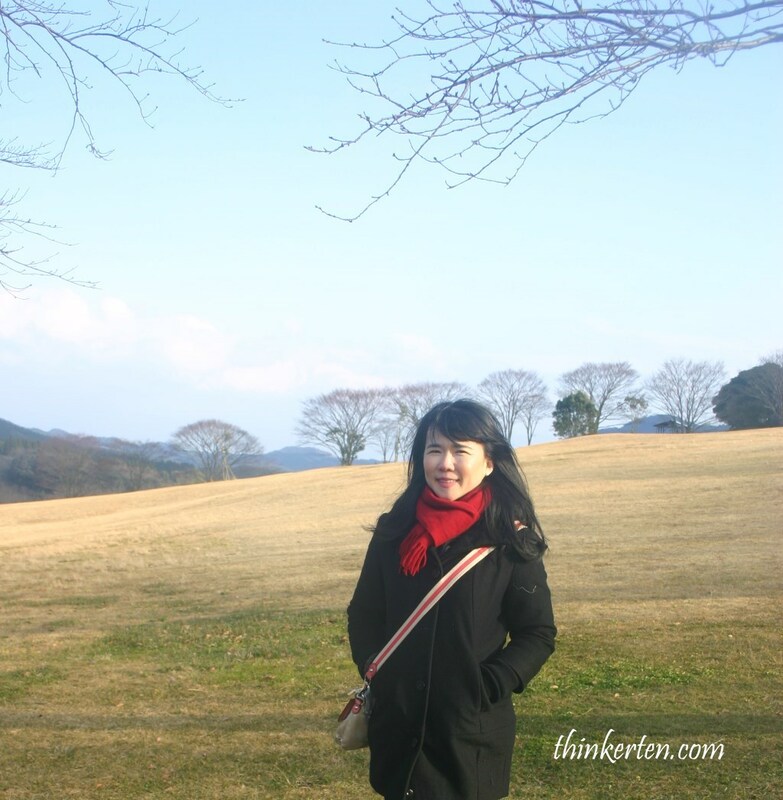 Miyazaki City to Kirishima – how far? It takes about 1.5 hour to reach Kirishima from Miyazaki. Kirishima (霧島) is an active volcanic mountain range that lies on the border between Miyazaki and Kagoshima Prefectures. It has lots of mountains, highlands, volcanic lakes and hot springs, if you love hiking through mountainous surroundings, this is a great place. 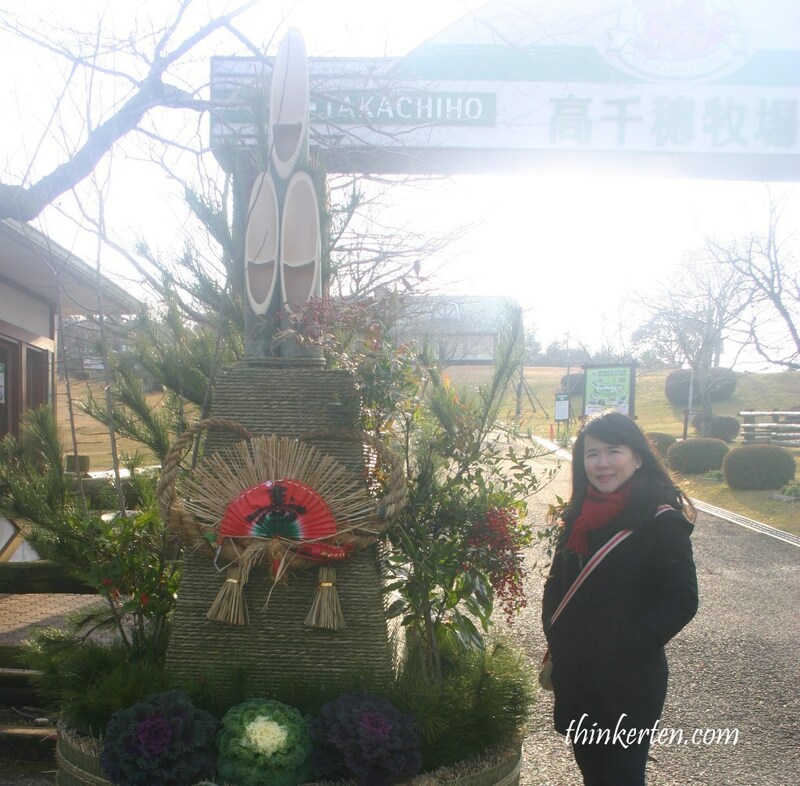 There are 2 places we will explore in this highland, the famous Takachiho Farm and Kirishima Shrines. Takachiho Farm is located at the foot of Mount Kirishima, which is near the prefectural boundary of Miyazaki and Kagoshima. When you reached this highland, you don’t feel like it is in Japan, the feeling is more like Australia. There are huge space and lots of cattle and sheep eating glass at the pasture. 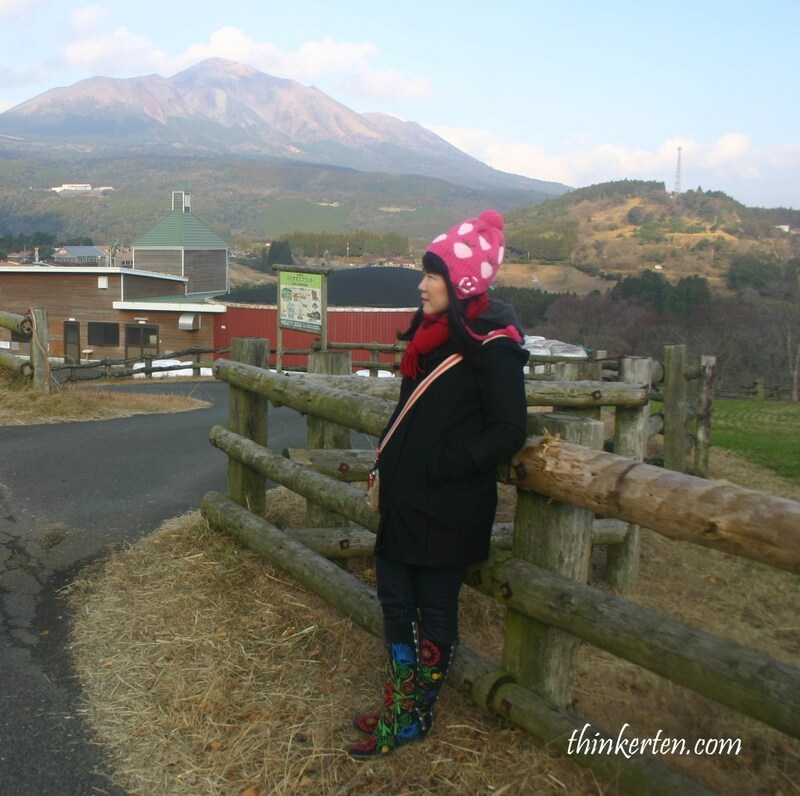 Takachiho Farm in Kirishima, Kyushu really offer a great place for fresh air and mountainous view. If you think Japan is always crowded, then you are wrong, come to Kyushu and check it out yourself. 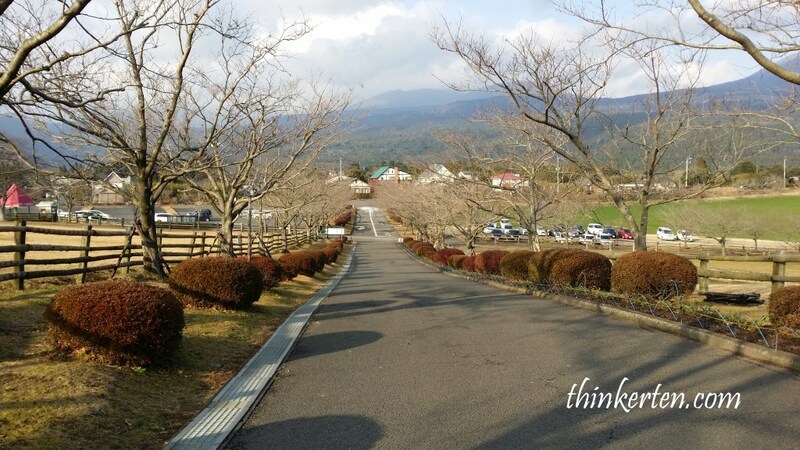 Takachiho Farm also has a cattle shed, a sheep shed, observation deck, dairy farming factory, barbecue area , milking station , horse riding, petting zoo and shops, etc. This is a great place to escape with family with young children. In the shops, original dairy products, ham, sausages and fresh meat are available. 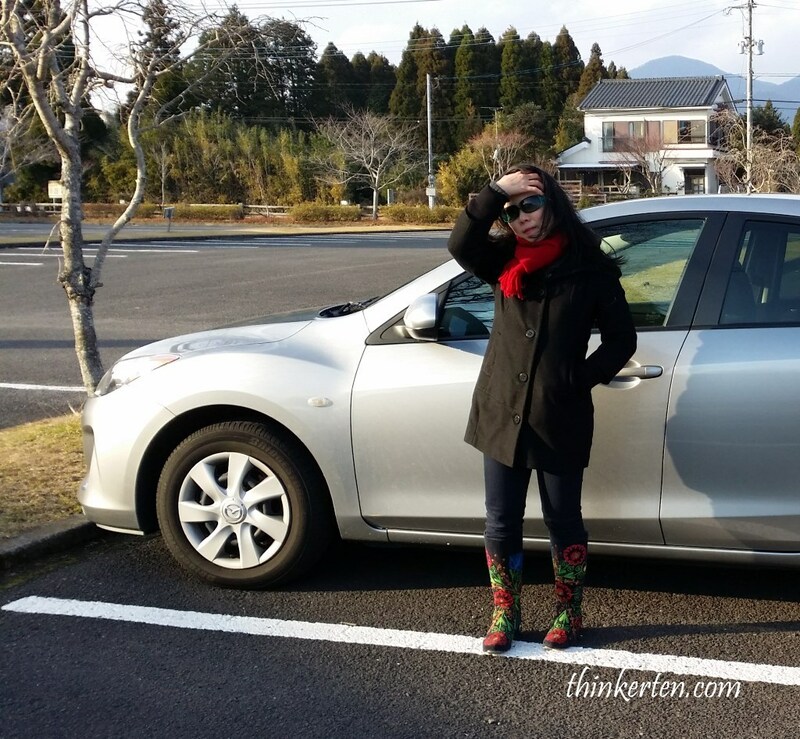 That’s our rental car – the Mazda but Toyota is still rank the best selling car in Japan. How much is car rental cost per day? Well, it depend on what kind of the car you want to rent. A Mazda 3 cost less than USD 70 per day. Well, is depend what car you are renting, smaller cost cheaper than USD 70. If you have pax of 4, it is definitely worth to rent a car because taxi cost a bomb and public transportation is also very expensive in Japan. Furthermore coming to area like this won’t be easy by public transport. Kirishima Shrine was built around 6th century but it was built down due to volcanic eruption. 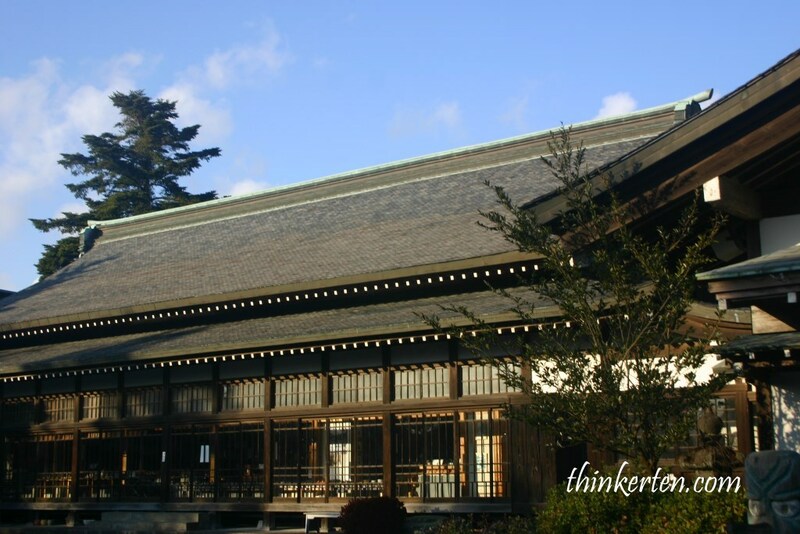 The current shrine building was rebuilt in the 17 century and designated as Important Cultural Property of Japan. 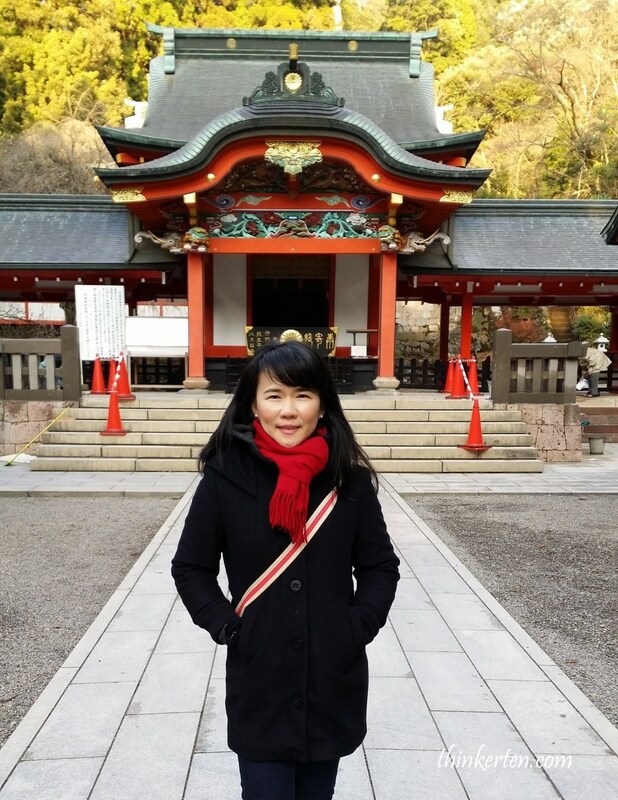 It was very chilling when we visited the Shrine at around 4 pm because it was located inside the forest and many huge trees surrounded the temple. 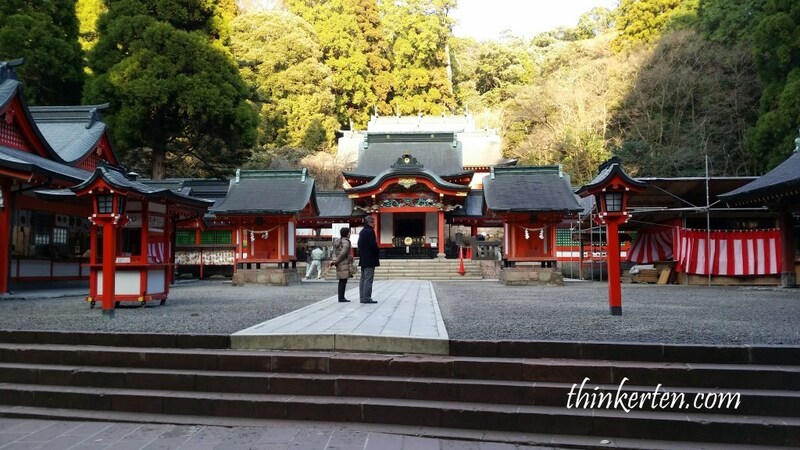 The Shrine is located in a small town of Kirishima. Some shops & restaurant before we went inside the Kirishima Shrine and appeared to be very quiet. You can enjoy serenity of this spiritual site and I love the big trees the most. Kirishima is really a small town, we could not find many eatery and most shops closed pretty early before 5 pm. However we managed to get in to one home restaurant on the way back to our hotel. They don’t have much to offer because they are supposed to close for business. The lady owner was kind enough to take out their chicken from the fridge and make BBQ for us . She also gave us some ‘nimono’/simmered dish which she cooked earlier to go with the BBQ chicken. 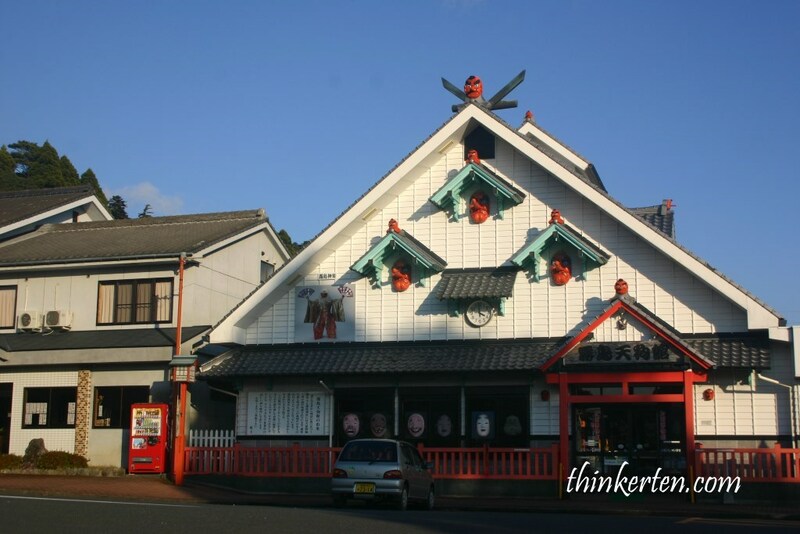 You would find many home restaurant in this Takachiho area. 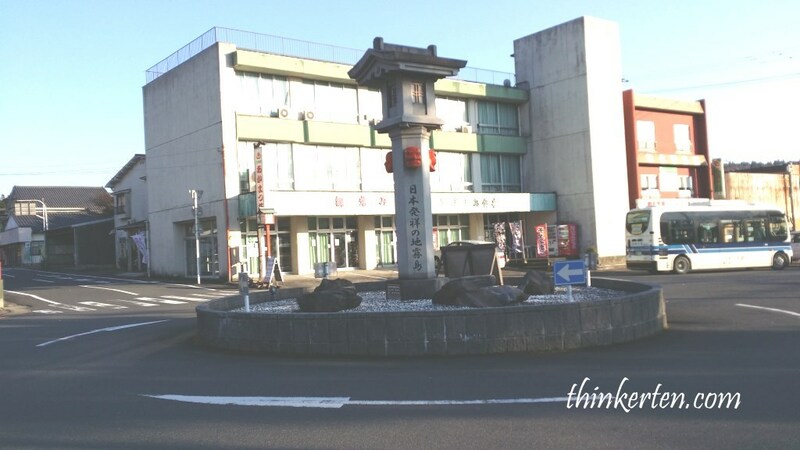 This hotel is good location because it is only 5 mins drive to Kirishima Shrine and 15 mins to Takachiho farm. Nice hotel with onsen and good services. 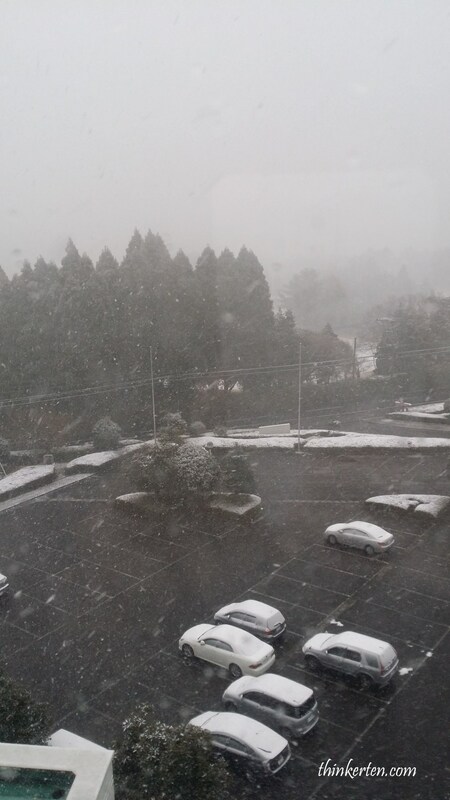 Huge snow, picture taken from the hotel room. Our Rental Car – Mazda – how much does it cost? 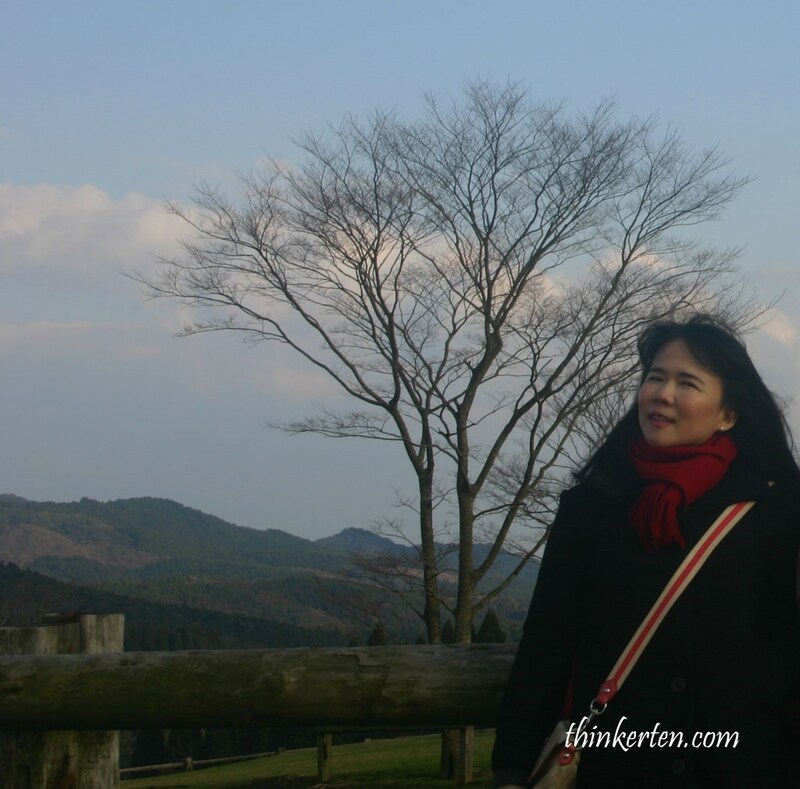 Japan Self Drive in Kyushu 3 – Miyazaki Prefecture : Is Miyazaki City not Easter Island! 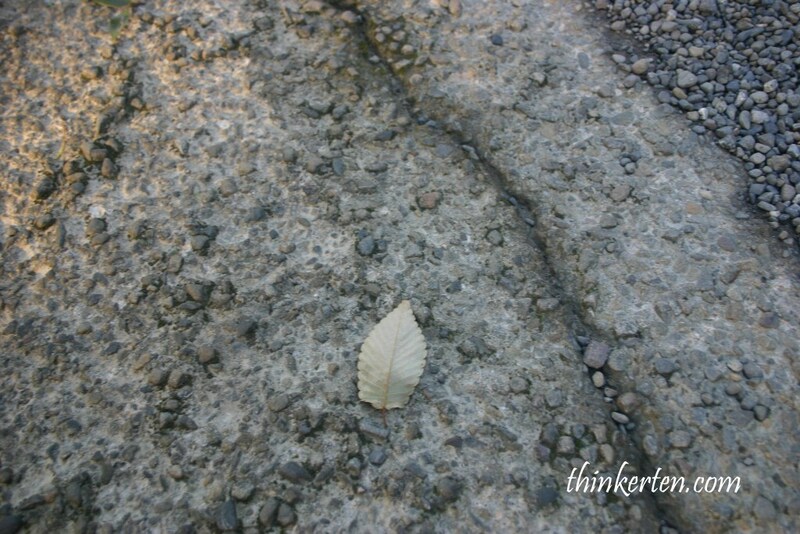 Is winter but feel like tropical atmosphere in Miyazaki!